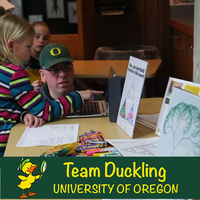 Team Duckling, developmental science at the UO, is partnering with the Eugene Science Center for a day of fun, research-inspired activities for children and families of all ages. Learn about local psychology and brain development research, try some mind and brain science activities, and participate in studies to help us make new discoveries in science! Check out a clip of all the science fun from last year!